OYO 17230 Flagship Amrit Villa is a tasteful property with bright rooms, located on Gurudwara Road in Karol Bagh, in Delhi. 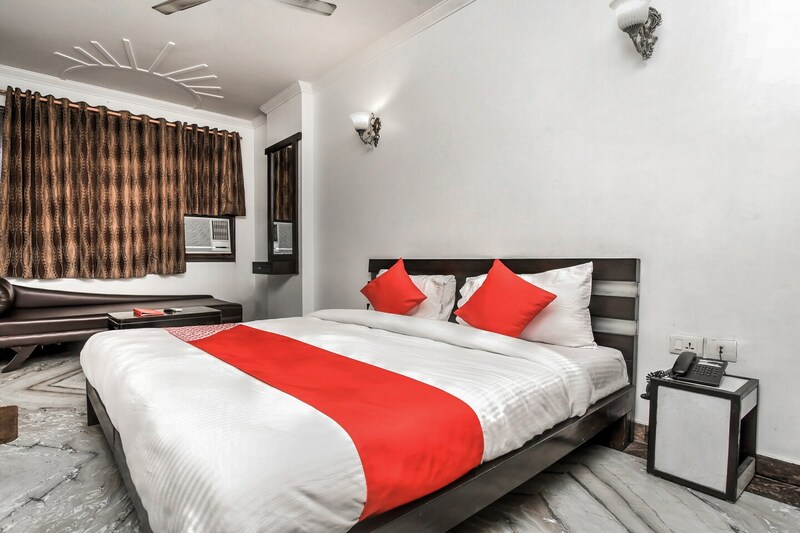 Karol Bagh Metro Station and Jhandewalan Metro Station are just a few minutes' walk away. The property has a kitchen and a trendy reception lined with dark wood-like panels. The rooms are spacious, with bright white walls and dark wooden accents. Elegant furniture and long mirrors in some rooms add to the charm. Bathrooms are clean and beautifully tiled. All the rooms have free Wi-Fi, wardrobe, AC, and TV. The bathrooms come with geysers. Other facilities include power backup, card payment facility, and CCTV security. The property is close to restaurants like Ganesh Restaurant, Bikanervala Angan and Sandoz. Famous shopping areas such as Connaught Place and Ghaffar Market are very close too.